At its core, Dynamics 365 is more than just another ERP or CRM tool. It's a great way to effectively break down silos that used to exist between these two disparate concepts, finally allowing them to come together to form a single and critical pillar of your organisation. It's a truly intelligent business application in every sense of the term, built to allow you to make better, more informed, and more actionable decisions on a daily basis. It's also a tool that has a number of interesting implications for your Field Services in particular. 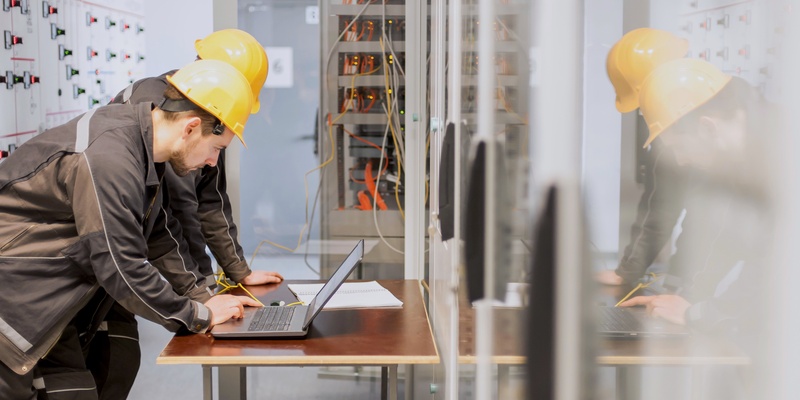 Rest assured that if you're the type of business that has a modest focus on on-site installations, field maintenance, or any related services, there are various ways Dynamics 365 can help improve your business. Even with a cursory glance, it's clear that Dynamics 365 may just be the solution to your Field Services problems. It's a tool built from the top down with better outcomes in mind, allowing you to not only build agility into your everyday operations in a way that allows you to organically grow and evolve over time, but also in terms of improving worker visibility across production and customer engagement, enhancing collaboration between locations and across teams and much, much more. We at Lanrex have compiled what we believe to be the four major ways Dynamics 365 can help guarantee all of this and more for your Field Services. One of the major ways that Dynamics 365 and Field Services seem made for each other has to do with the better, more holistic way that you can now optimise your resources for the unique tasks you have at hand. Solving a business challenge always comes down to having the right assets available for the right job at exactly the right time and with Dynamics 365, that goal is easier than ever. Drawing from the massive volumes of data that your organisation is already creating, scheduling can not only be improved, it can be almost totally automated. This guarantees that you always dispatch the right technician to the field as quickly as possible, guaranteeing that you're getting the most value out of your resources, all while allowing you to focus more on the jobs that actually move your organisation forward. Along the same lines, once those technicians have been dispatched, Dynamics 365 provides all relevant customer information (history, preferences etc…). This allows your technicians to gain what Dynamics 365 calls “a true 360-degree view of your customers”, putting them in position to be more effective than ever. Again, Dynamics 365 makes all data available to everyone, anywhere, at any time. This means that even in the field, your techs are in an excellent position to offer true real-time guidance to customers — improving resolution times as much as possible and earning their trust in a lasting way. The 360-degree view feeds directly into another way that Dynamics 365 can help improve your Field Services: the proactive level of support and care that you're now able to provide. The Internet of Things and powerful business intelligence can now be used to gain insight into your Field Services in a much deeper way than before. You will now only have to dispatch a technician when it is absolutely necessary, so you'll save time and money that way. Those techs will still be able to offer, better, real-time guidance to improve resolution time as outlined above. From that perspective, you're truly dealing with something of a perfect storm. Not only are you sending out techs less frequently, but the techs you are sending out are in a position to do better work in a more effective way. It is truly a win-win scenario. But in the end, perhaps the most critical way that Dynamics 365 can help improve your Field Services is the opportunities that you now have to engage with your customers more. Do you want to be able to provide your customers with self-service portals? Now you can. Do you want to start creating a bigger emphasis on more proactive updates? It's never been easier. As a business leader, do you want to be able to ensure a positive experience at every step and via every interaction? Thanks to Dynamics 365 and technician tracking, all of this is available to you. Service experiences don't just become easier, they become effortless. This is just a taste of the many different benefits that only Dynamics 365 can bring to the table in terms of your Field Services. But even when you consider these advantages alone, it's clear that this is one solution you'll soon wonder how you were ever able to get by without. As an industry-leading provider of a wide range of Microsoft products including Dynamics 365, the team at Lanrex are prepared to do whatever it takes to bring you all of the advantages of a thoughtfully executed digital transformation with as few of the potential downsides as possible. If you'd like to find out more information about the major advantages that only Dynamics 365 can bring to the table, or if you'd like some assistance implementing these services across your own organisation, please don't delay — contact Lanrex today.